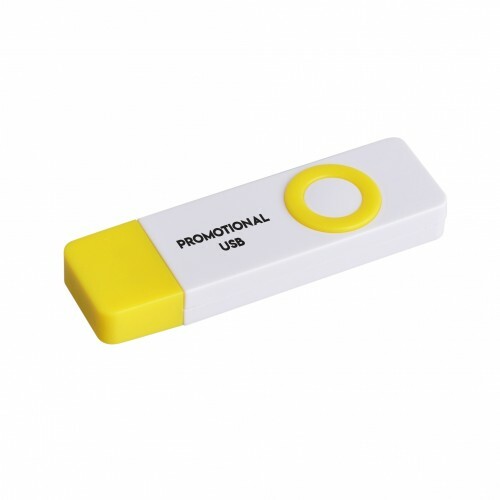 Offer tech-show and expo visitors a functional flashdrive as a welcome gift when they stop at your stand. It can be branded with your personalised logo and name, creating an advert that will be seen on office desks around the country. 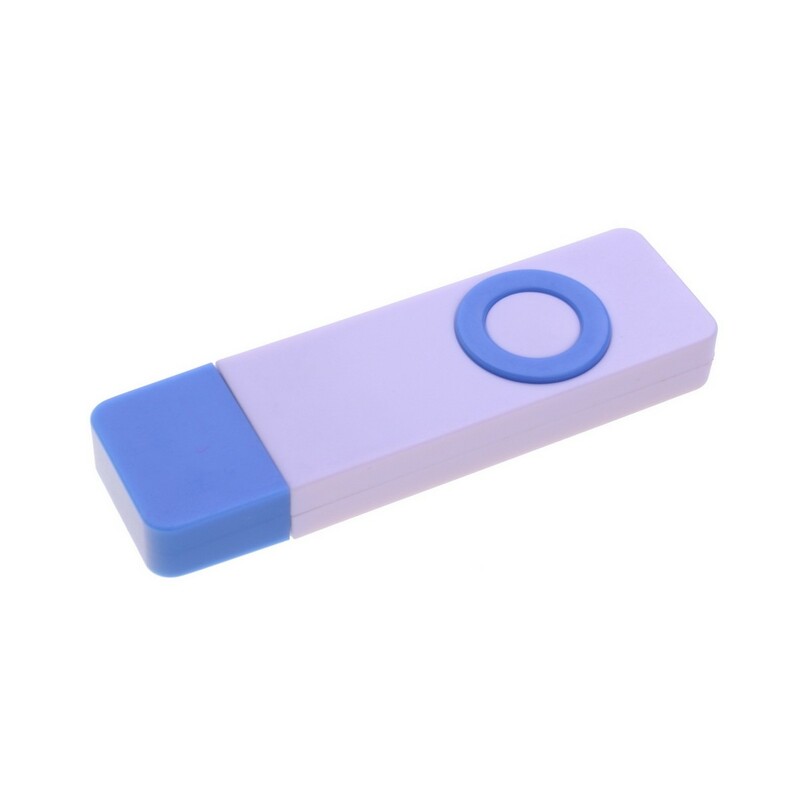 Flashdrives also make great gifts to offer at business meetings, boardroom meetings, sales meetings and corporate lunches. This design has a fun and modern look with a rectangular body in a clean white, ideal for showing off your custom image. The cap comes in a choice of yellow or blue, creating an eye-catching contrast. Decorating the body is an open round circle accent that matches the colour of the cap. 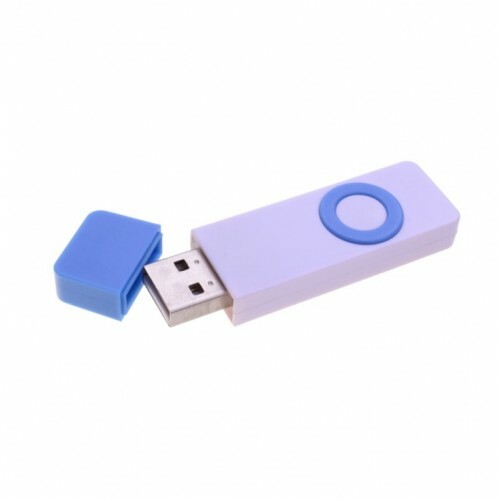 The cap is removable and can simply be pulled off to expose the USB port inside. This design is made to order and comes in a choice of 512MB, 1GB, 2GB, 4GB, 8GB, 16GB, 32GB and 64GB configurations. The listed purchase price includes a 1 colour pad print of your logo. We deliver this quality product within Australia only.